Faux fur is everywhere for fall and as the days get cooler it’s really nice to add soft furry touches to your wardrobe. 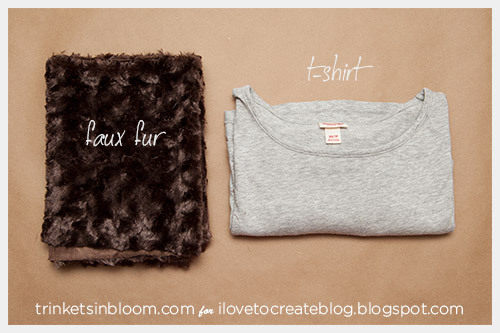 Using Aleene’s Fabric Fusion Peel & Stick Tape is a super easy "No Sew" way to turn a basic t-shirt into a chic Furry Cuffed T-Shirt DIY. 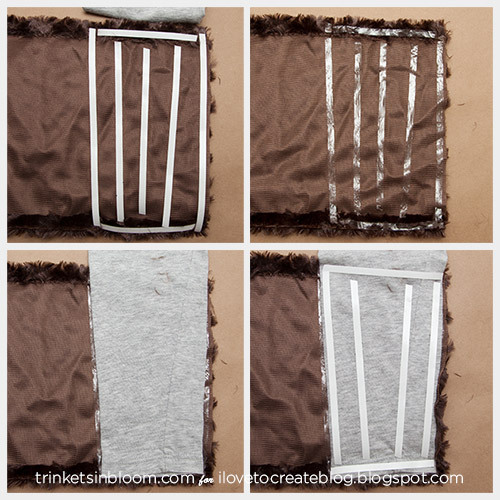 I'm always impressed by how well this fabric fusion tape works, you may just want to put your sewing machine aside and use the tapes for everything! Let's get started! I cut my faux fur 9 inches tall by the width to go around my sleeve plus one and a half inches for overlap. 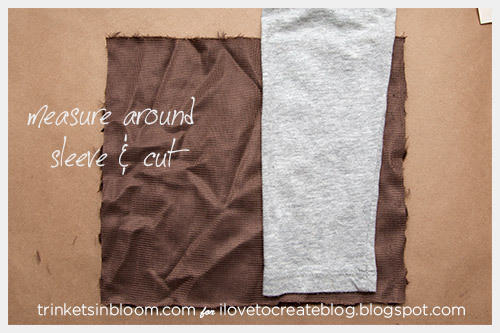 Cut two pieces the same size. 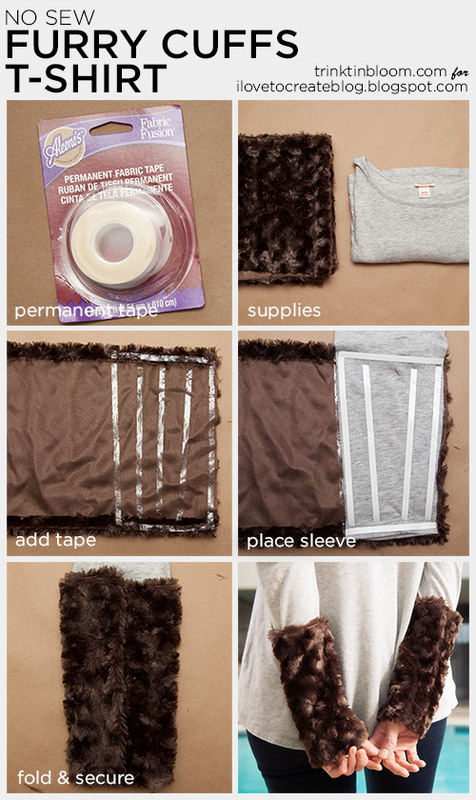 With the back or wrong side of your faux fur facing up roll out your Aleene’s Fabric Fusion tape across the top and bottom edge of your faux fur. 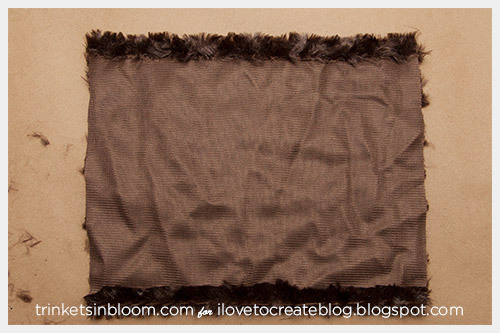 Peel the backing off and fold the faux fur over on itself to make a hem. My hems are about half an inch. 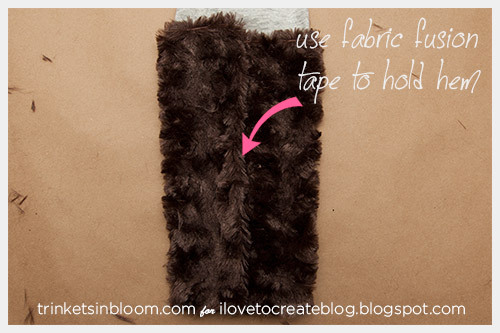 Roll out your fabric fusion tape onto the back side of your faux fur the same width as your sleeve. 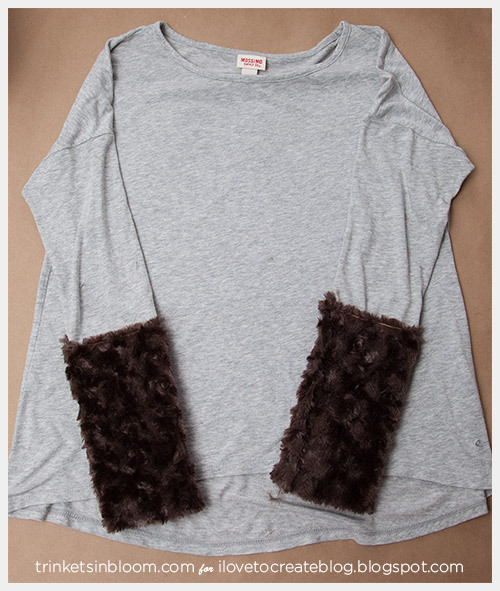 Peel off the tape backing and lay your t-shirt sleeve onto the faux fur with the fabric fusion tape. 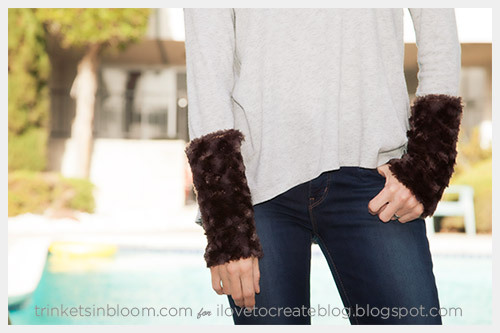 Make sure that your sleeve and your faux fur are smooth and press them together. 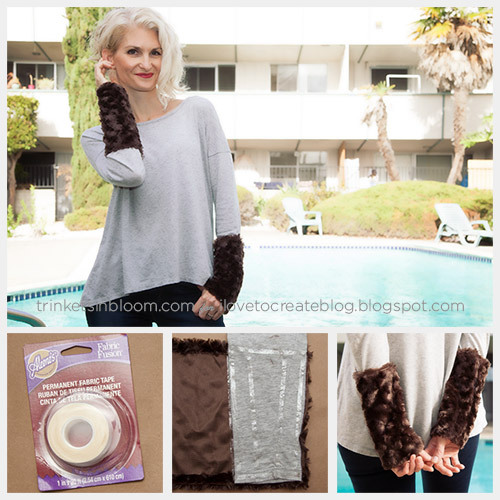 Roll out your fabric fusion tape onto your sleeve and cover the area where you will be adding the faux fur. 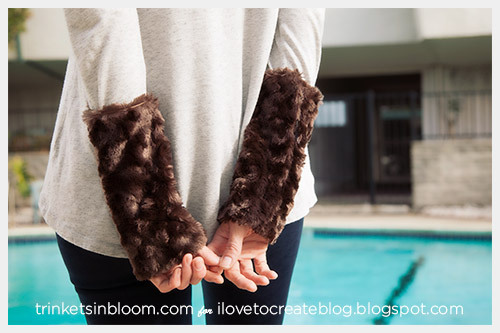 Peel off the tape backing and lay the faux fur over your sleeve, making sure it lays flat and smooth. Press them together. 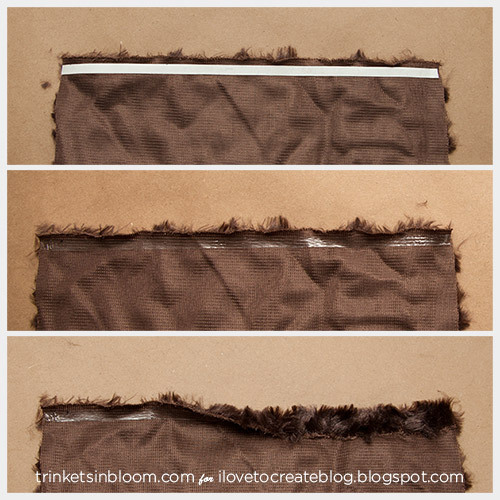 The edges of your faux fur should overlap, add a strip of fabric fusion tape along to top open edge and fold the faux fur over on itself to make a hem. 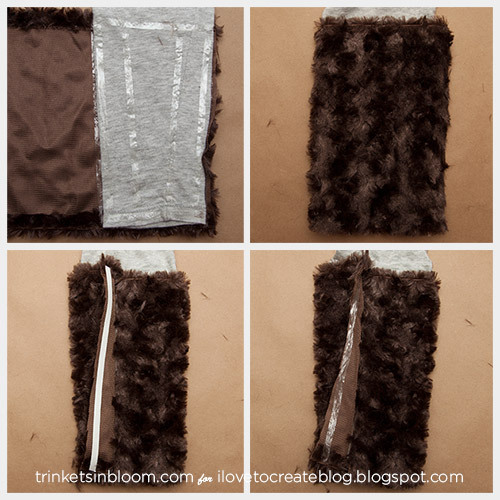 Using the fabric fusion tape, glue the faux fur onto the other side of the faux fur to hold it down and smooth. Do the same thing for the other sleeve. 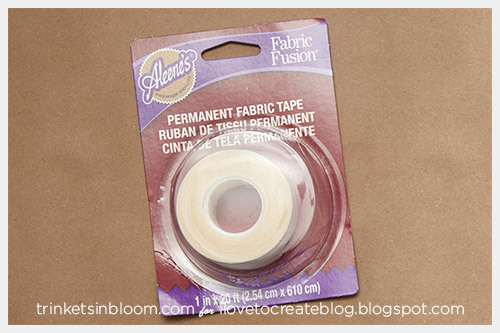 One of the best things about using the Aleene's Fabric Fusion Peel & Stick Tapes is that unlike the liquid Fabric Fusion it isn't hard or stiff. The tapes allow your fabric to move the same way they would if it was sewn. AND big plus, there's no drying time! It's a win win! To see more fashion DIY's check out my blog Trinkets in Bloom.